Hey summer! Just wanted you to know I’ve been thinking about you today and I really miss you. In the UK there aren’t many night of the year you can lay under the stars, and even then you need to be wrapped in several blankets. 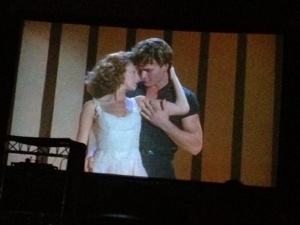 We were lucky enough that the weather was just right for Dirty Dancing at Experience Cinema in St Albans. It was the first time we’d ever been to anything like this- I’ll definitely be keeping my eyes peeled for EC’s future events. 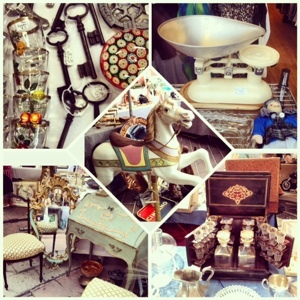 My love of antiques has really intensified over the last few months. On our summer holiday in the South of France I was so excited to find out that Nice has a wonderful fair. We took a day off from sunbathing in Cannes to see what it was all about. If only we’d driven instead of flown! There were several pieces I’d have loved to take home- what a shame. Very interesting to see that everything silvery was silver. Back home it all seems to be plated. My mum recommended I visited Westmill Tea Room which turned out to be possibly the cutest shop in the quaintest village in the world! The village itself is centred around a small green on which the tea shop sits. Surrounding it are thatched houses and the kind of cottages where only people 5′ tall or shorter can fit through the door. There is a lovely pub on the way into Westmill called The Sword Inn Hand which serves coke in bottles and has a huge trampoline in its spacious garden. The bf thought he’d demonstrate (show off, more like) his gymnastic abilities. What good fun! Back to the tea shop. 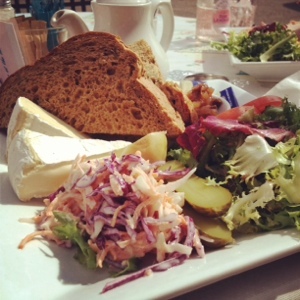 Sitting outside and making the most of the lovely weather we had a pot of tea and a ploughman’s. A gang of bikers sat on one side of us, some sweet old ladies on the other. I really fancied some homemade cake, but sadly my full tummy wouldn’t permit it. I must look Westmill up on Right Move- it would be a dream to live there. 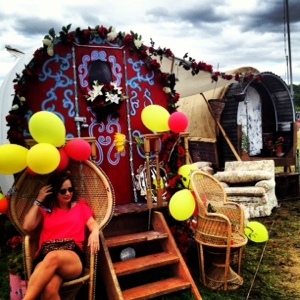 My final highlight was Standon Calling Festival. Clinging on to our youth, Ames and I decided “Standone” was the one this year (it was ‘Beefa last year). One of the key selling points of this ‘local’ festival is that I only live 1 village away. Pretty handy when our tent leaked and we decided to walk home in the middle of the night. Ok, so it did take an hour and we screamed our heads off when we were inches away from tripping over a dead badger, but sleeping in a bed is so underrated. Surprisingly the festival did host a few bands we’d actually heard of, which is always nice, but you have to give it to those who are unknown but play an absolute stonking set. A female choir covering MGMT’s Kids = legendary! All in all summer, you did good. Repeat next year, per favore?